We’re thrilled to announce Bat Fangs as the latest addition to our roster of touring artists! On February 2nd, Don Giovanni Records will release the self-titled debut record by Washington, D.C. / Carrboro, NC super-ghouls, Bat Fangs. 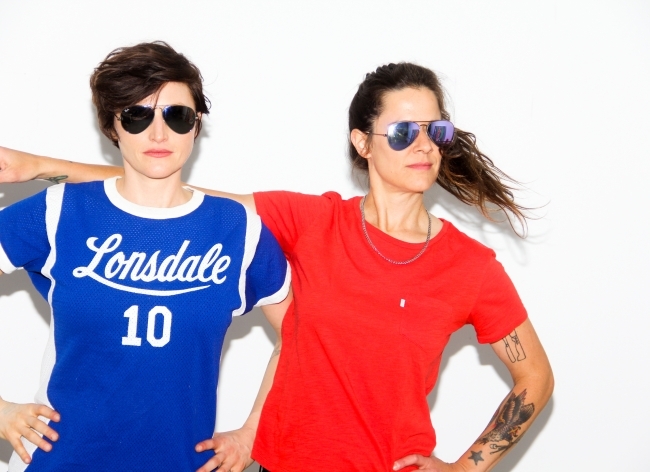 Formed in 2016 by guitarist/singer Betsy Wright (Ex Hex) and drummer Laura King (Flesh Wounds, Speed Stick), the duo specialize in prescription-strength shred and churn meant to stiffen the upper lip and crack the third-eye. Slick and sick visions channeled from the midnight mirror world. Acid-soaked hard-rock to thrill the living and raise dead. Bat Fangs hit the road with indie-punk legends Superchunk this February. Take a look at their artist page for a complete list of tour dates and the most up-to-date Bat Fangs news!